Two fascinating artists get Barrett’s scrutiny in this chapter, Willem de Kooning (1904-1997) and Sean Scully (1945-). De Kooning is considered one of the major figures in the Abstract Expressionist period of the mid-20th century New York School and Scully’s work has been termed a synthesis of Abstract Expressionism and Minimalism. What intrigues me about looking at these two artists is how differently they approach expressing their ideas visually. Reference to the female figure is very evident in this series of de Kooning’s paintings, although the figures are exaggerated and at times distorted. Scully, in contrast, limits himself to painting bands and geometric shapes of colors, abstracting themes of power, survival, competition, the tyranny of perfection, staircases and ladders, masculinity and feminity into squares and rectangles. Barrett hones in on de Kooning’s “Women” series in this chapter. While the subjects of these paintings are figures of women, their features are exaggerated and the paintings appear to be comprised of layers and layers of gestural lines and marks. One reviewer (O’Doherty) is quoted as saying that for de Kooning the process was more the subject than the women. “When a subject (for example, a woman) appears in a de Kooning, it appears like an abstraction embedded in the real subject — the process.” Another reviewer, Sarah Rogers-Lafferty, says these paintings are more about the space of the canvas and the action of the painter on the canvas than they are about women. Some critics at the time these works were first exhibited viewed DeKooning’s “Women” as too representational; others thought DeKooning’s images indicated deep-seated hostility and anger towards women. When you look at the image, “Woman, Sag Harbor”, 1967, what do you observe? Having read about his conflict filled relationships with women, particularly his mother and his wife, Elaine, what do the marks, colors and shapes in this piece indicate to you about the artist’s attitudes and feelings? Do you feel that the idea of “women” and expressing his attitudes and feelings about them were the driving forces behind these paintings or do you agree with the reviewers who considered the subject matter merely a vehicle for his preoccupation with gestural strokes and their relationship within a space? Woman, Sag Harbor, 1967, Willem de Kooning, 80″ x 36″, oil on wooden door. Another critic points out that Scully works strictly with vertical and horizontal elements, each with a single attribute of lightness or darkness. A curator of Scully’s work, Ned Rifkin, adds that Scully puts self-imposed limits on the imagery he works with and restricts himself to just a few visual motifs. Think, now, of the spareness of Scully’s visual language in contrast with the densely layered, passionately gestural strokes of de Kooning’s brush and the differing degrees to which they abstract ideas and themes. Engaging with the work of these two celebrated artists presents us with very different perceptions by the artists themselves of their works; adding to the discussion are the numerous comments and observations by the art historians, curators and art critics who comment in this chapter on these artists’ approaches, content and themes. I find Scully fascinating for his constraint and the way he uses minimal imagery to convey a vast amount of information, but I respond most strongly emotionally to the layered surfaces of de Kooning, whose soul and spirit seem to be infused on the surfaces of his canvas. 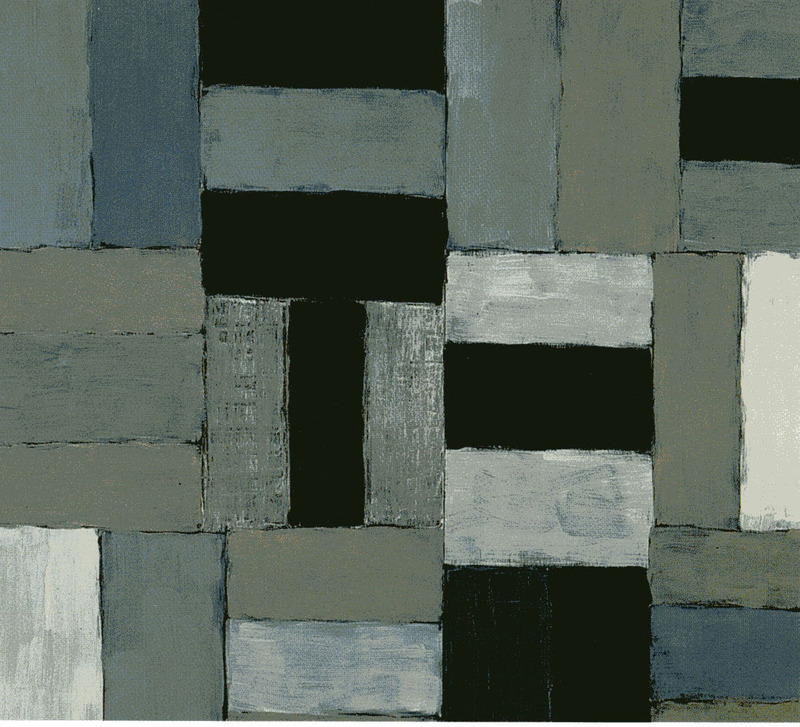 Wall of White Light, Sean Scully, 1998, Oil on linen, 96″ x 9″. de Kooning’s women are disturbing to me. They strike me as some of the drawings that our mentally disturbed clients used to draw. I agree with June – he is not my kind of painter. Scully’s work is peaceful – that may not always be good but I would take it over someone who works so hard to distress. I have to totally agree with you June. I hate de Kooning’s women. They have always looked to me like women painted by a misogynist psychopath. And yes his surfaces are luscious — too bad the content is so disturbing. Eileen is spot on — his content is a conscious decision. As is Scully’s lovely lovely, formal and yet very warm and human shapes. de Kooning’s process was something he developed over time, his subject matter could only be a conscious choice. i think he is being disingenuous to say anything else. how could he spend so much time painting a series of women if he was not engaged in the subject – even if he was engaged negatively. and i dubious about Barrett’s statements that we should respect painters because they spent so many years at their work (among other reasons, of course). So do we respect very talented but new painters less? do we have to respect less-talented painters who have made that lifetime commitment? seems like a weak statement to me – one of the few that i’ve had to disagree with in the book, so far! I can never get beyond de Kooning’s view of women. That is, I always think — now this time, I’ll just admire the smooshy delicious paint and brush strokes and the sheer magnificence of his surface — but then I see that female in the imagery, and I’m turned off all over again. I want to like him, but he makes me angry. I have had friends who never could go to Germany because of the Nazi’s. They knew it was an irrational and foolish attitude and limited them in many ways, but they couldn’t stop their feelings of revulsion. That’s the way I feel about de Kooning– he isn’t abstracting — he’s pouring out hatred and disdain and meanness, even in the midst of luscious excesses of beautiful paint. Oddly enough, I don’t have the same feeling about Picasso — I think it has something to do with de Kooning’s overblown painted surfaces. Picasso has a far more subdued relationship with his paint and so it seems less visceral, less angry and hateful the de Kooning. Also Picasso did a lot of women who don’t seem to be demons; I’m not sure de Kooning painted any. As for Scully — well, you already know I’m a sucker for this kind of stuff. Thanks, Rayna, for the book suggestions. I’m going to see if the library has them. I see tremendous energy in deKooning’s work but to me, it is hostile, angry, and yes – extremely negative toward women. But so was Picasso’s work. I discovered Sean Scully’s book “The Color of Time” a few years ago in London and it is my most prized book – now out of print. Photographs to die for. Only later did I find his paintings, and while they are restrained and appear more cerebral than his photos, they are layered and luminous when you see them in person. There is a lot going on beneath the surface – at least for me. I have his book “Wall of Light” but might not have bought it if I had not seen his paintings. I find his work poetic and inspiring. But he is an acquired taste.